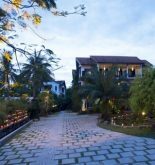 Whether you are a businessman or tourist, Hoi An Coco River Resort & Spa is also the wonderful choice for relaxing when coming to Hoi An city. In addition, it is distant the city center about 3,5 km so it is very close to Cua Dai beach, Nga chicken rice, Tran family temple which creates a special and charming beauty. 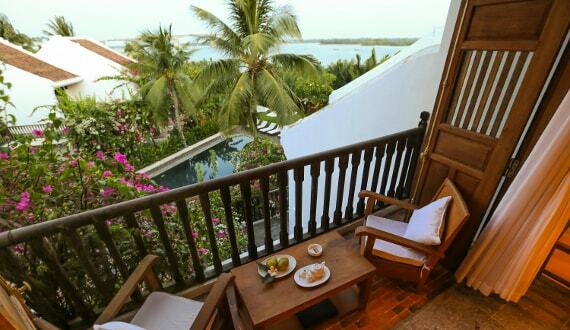 At Hoi An Coco River Resort & Spa, all of efforts aim purpose satisfying tourists. To do this thing, hotel will provide the best services and facilities such as free wifi for all of rooms, 24 hour front desk, check-in and check out, luggage storage, wifi in public areas. In addition, all of rooms own the different comfortable characteristics. 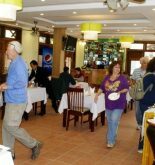 Especially, some of them are equipped facilities such as wireless internet access (free), non-smoking rooms, air conditioning, wake-up call service for satisfying the most demanding tourists. 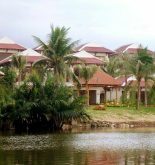 Furthermore, hotel also supports a lot of unique recreational facilities as private beach, gym, outdoor swimming pool, fishing and spa. Whether you come there to relax or do anything else, Hoi An Coco River Resort & Spa is always the perfect selection for your vacation in Hoi An. Address: 999 Tran Nhan Tong St, Cam Thanh ward, Hoi An, Quang Nam, Vietnam. This information has been supplied by Hoi An Coco River Resort & Spa.